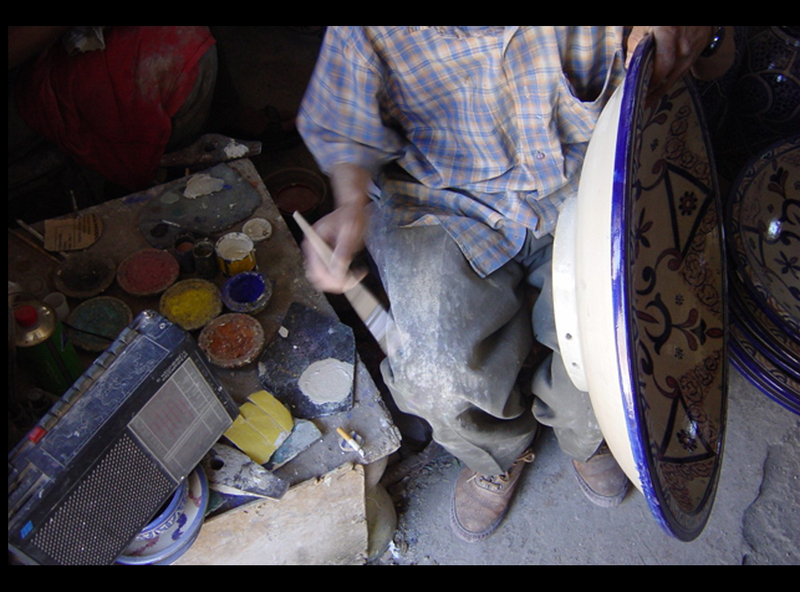 Tradition is certainly more influential in Morocco than in many other countries. It governs behaviour as well as the living environment, and even if things are changing like everywhere else, the presence of this sometimes archaic mentality does provide structure for many aspects of life, from the most insignificant to the most fundamental. For example, the continuation of eating habits has enabled many forms of household ceramics to be conserved. 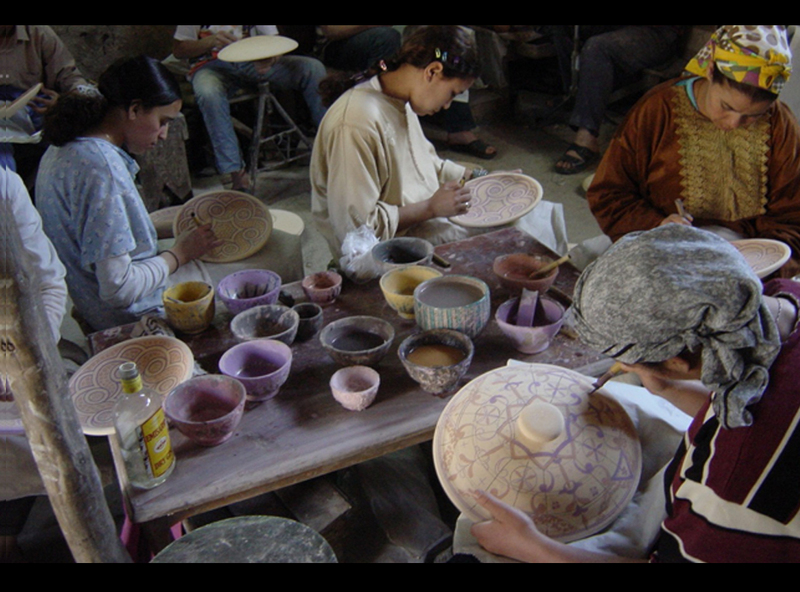 Fez pottery is a perfect illustration of this state of mind: it is still being produced in exactly the same way since times that it is difficult to put a date on, apart from using the most sophisticated techniques, since it is still being made in the same way. For those of us who live in an environment of totally industrialised objects, the contrast is enormous and therefore attractive. So I tried to adapt the technique and themes of Fez painted pottery to tiles, a transposition that the potters themselves had not really exploited until now. So I was not able to work from models of tiles, and I improvised within the limits of ancient themes whose roots I traced in museums, reorganizing the motifs according to the formal logic of tiling which is very different from that of pottery. These motifs were so familiar to the potters that the transposition did not pose the slightest problem. The result is totally new, while being deeply rooted in the traditional culture. We can talk about Delft tiles or Portuguese azulejos, despite a very clear Moorish identity, particularly in its geometric component. This involves popular culture, craftsmen who are more or less skilful depending on the individual, but which is still based on infinite repetition of themes. However, and paradoxically, a form of freedom of writing by each craftsman is expressed in complete modesty, often with a humour and a refreshing candour which seems to smile at us.